With over 46,000 students, Concordia University is among the largest urban universities in Canada. 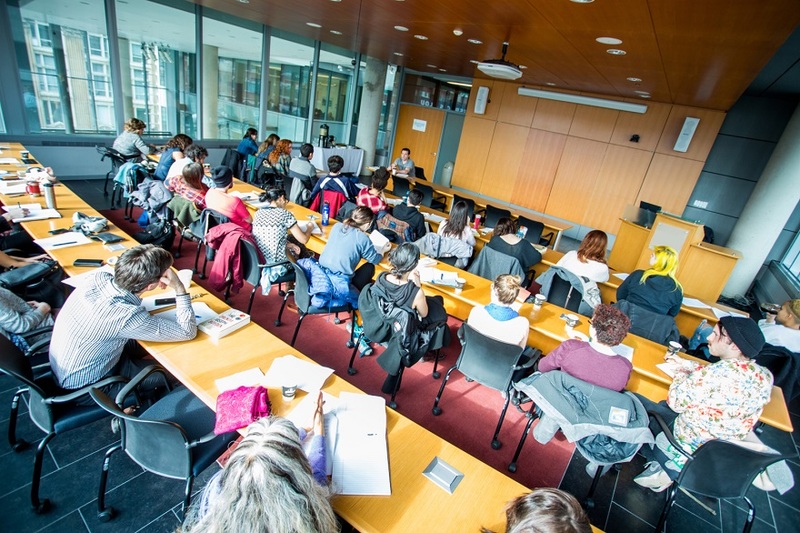 Our class sizes, however, are small, with an undergraduate student-to-professor ratio of 27 to one. Concordia is in the heart of Montreal, named the best city in North America for students, and a hub of higher education and industry. Our Bachelor’s, Master’s and PhD programs are based in four Faculties: Arts and Science, Engineering and Computer Science, Fine Arts and the John Molson School of Business (JMSB). The QS World University Rankings by Subject gave us top marks for our undergraduate programs for English language and literature; education; civil and structural engineering; communication and media studies; linguistics; accounting and finance; and psychology, ranking them in the 94th percentile or higher. Concordia students benefit from practical learning, like managing a $1.5 million Canadian investment fund, guided by a team of senior investment management professionals from the community. Many Concordians take advantage of paid internships with companies like Bombardier, IBM and Pfizer to bridge university life and the work world. 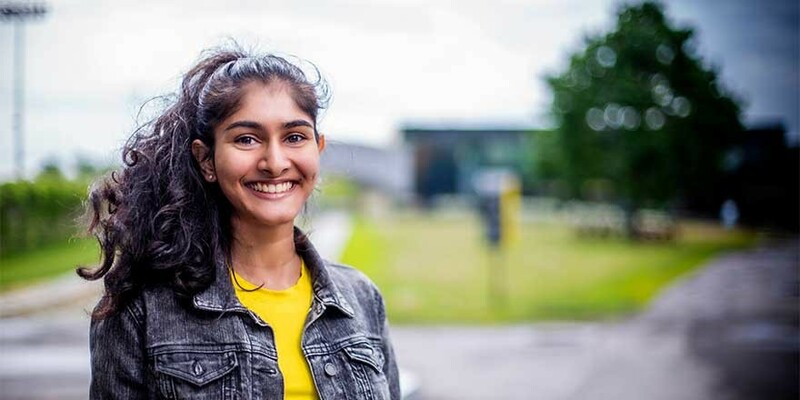 We’re a young university that champions innovation and looks towards the future, and we rank among the top 100 universities founded within the last 50 years, worldwide (Times Higher Education). With more than a hundred possible pathways to a degree, Concordia makes it easy to create and then pursue your own academic goals. For all your options, visit concordia.ca/programs. The Co-op program lets you alternate study and work terms to enhance your education with practical experience. Other benefits: earn money to finance your degree; discover which work environment suits you; develop your professional network; and increase your chances of obtaining employment after graduation. If you have a great idea, Concordia's District 3 can help you launch your own start-up. You'll benefit from the expertise, networks and encouragement of business strategists, engineers and creative people. We can help you become the academic high-achiever you aspire to be during your university career. Through Orientation, you'll meet other brand-new Concordians and key people from your Faculty, who will support you throughout your learning journey. You'll also have the chance to connect with Student Success Mentors and Learning Specialists. For more information, check out www.concordia.ca/students/success Staff at the International Students Office can help you make Montreal feel like home, and guide you through the transition to student life in Canada. Enhance your education with practical work experience during your degree. 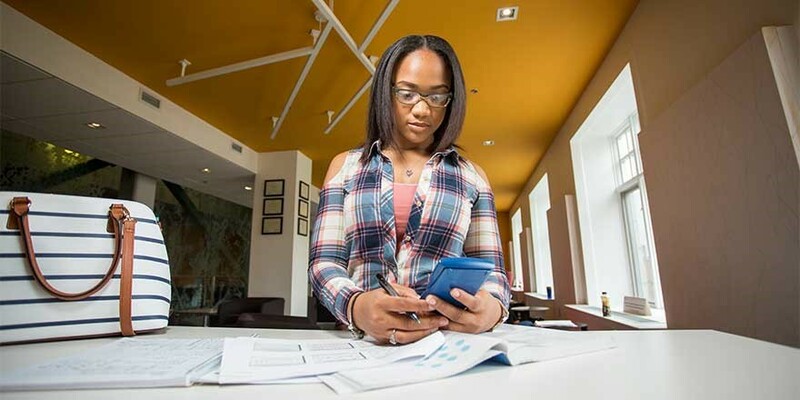 The Co-op program lets you earn money to finance your degree, discover which work environments suit you, develop your professional network, and increase your chances of obtaining employment after graduation. Concordians have done paid internships with companies and organizations like Bombardier, Ericsson, Ernst & Young, L’Oréal, the Canadian Space Agency, Ubisoft, Pfizer, Evenko, Air Canada, the United Way/Centraide, Suncor Energy, Tesla Motors, the McCord Museum and more. Career and Planning Services can help with your resumé, job search strategy and networking skills. The Stingers compete in football, basketball, hockey, rugby, soccer and wrestling. We club teams in baseball, golf and cross-country. Our intramural teams include basketball, ice hockey, ball hockey, soccer, Ultimate and volleyball. A dome covers the field in winter for year-round access. Concordia students run clubs that encompass tennis, dodgeball, hurling and Gaelic football, rock climbing, dragon boating, lacrosse, cycling, and skiing and snowboarding. The Outdoors Club focuses on hiking, snowshoeing and running. Concordia’s exceptional fitness facilities make it easy to stay in shape. In our downtown campus, Le Gym has the best in hightech cardio and weight machines. You can sign up for yoga, Pilates, ballet, Zumba, Spinning, personal training, martial arts or badminton. At our Loyola campus, you can get fit on the conditioning floor of the PERFORM Centre. 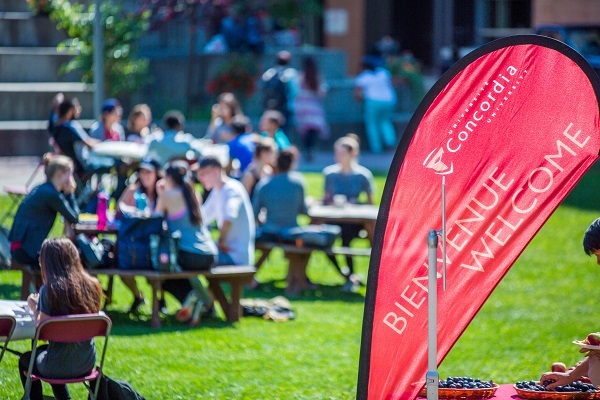 Visit concordia.ca/campus-life/recreation to find out more. 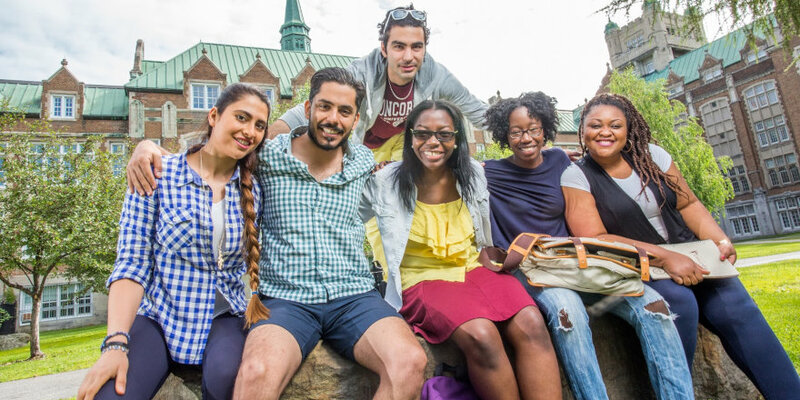 Student life at Concordia encompasses an inspiring range of opportunities. That's only some of what’s going on at Concordia. The Webster Library is Concordia’s latest infrastructure investment, with a major transformation focused on bright, airy spaces, group study rooms equipped with screens, cameras and speakers. The library will also lend you a laptop computer or a tablet. Our facilities are as varied as the students who create, compete, and do research on campus. In Montreal, and at Concordia, we’re fuelled by creativity and diversity. Art in a cultural nexus. Engineering in an aerospace capital. Tech in a gaming hub. The city has a lot to offer and Concordia embraces it all. Montreal attracts the best performers and creators on the planet. People from all over the world live in Montreal, reflected in an incredibly diverse and rich experience for language, food, history. Living in Montreal will open your eyes – and your mind. Plus, our joie de vivre is contagious. You’ll love life in Montreal. As the largest French-speaking city in the world after Paris, Montreal is the perfect place to take your French language skills to the next level. Take advantage of the many resources at Concordia, through our Oui Can Help program. Our student services offer tailored support for students with disabilities and students who’d like to improve their academic performance. The university also has its own health clinic, one on each campus. Gain a global perspective through Concordia International's study abroad program, while earning credit towards your degree. Choose from Concordia’s 150 partner universities in more than 30 countries.